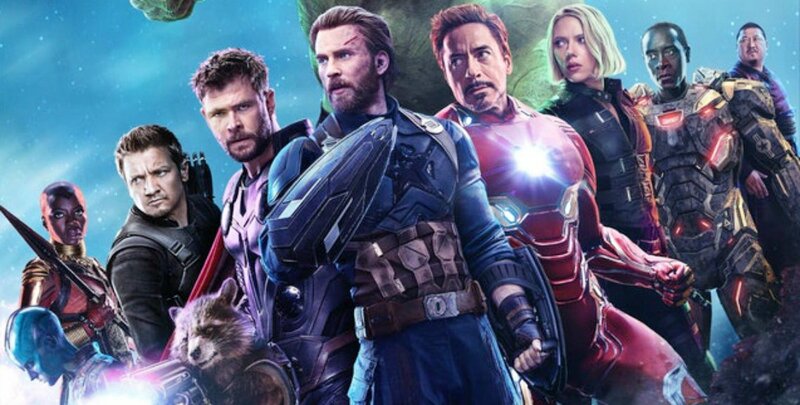 With Avengers: Infinity War grossing $2.05 billion at the box office, it is no secret that the upcoming Avengers 4 movie will be one of the biggest movies to release in 2019. With the excitement, people are wondering what will happen to the heroes after Avengers: Infinity War and how will Thanos be defeated. I asked a group of 100 people a few questions to get their opinions on a poll consisting of fan favorite characters, who was still around after the battle of Wakanda/the fight on Titan. As you can see most people are swayed towards our main three heroes Captain America (16.0%), Ironman (23.0%), and Thor (22.0%). Many people want to see all of the Avengers beat Thanos (15.0%) or a new contender to beat Thanos (13.0%). Black Widow, who isn’t a fan favorite character, got the lowest score of all the choices at 11.0%. My second question was, “Who will actually defeat Thanos?” It was designed so people would think like a director and make power moves for a script to work. The results show that it’s a close race between the God of Thunder, Thor (22.0%), and the ‘Other’ option (21.0%). The ‘Other’ option hints at the choice being any character from the Marvel Cinematic Universe (MCU), including upcoming heroes like Captain Marvel. Captain America (15.0%) and Iron Man (15.0%) both tied, which makes sense because they are main characters who both play important parts to the plot of the movies. A good deal of people think the Avengers to come back together and defeat Thanos as a whole (14.0%). And Black Widow (13.0%) isn’t a likely candidate for defeating Thanos alone most likely because her character wasn’t fleshed out entirely before Avengers: Infinity War. My last question was “Who will die?” This question although it may be disheartening for some big Marvel fans, but it is something we have to come to terms with. The results primarily show that the ever-loved Captain America (26.0%) will perish in the upcoming movie. This answer has logic behind it since it has been speculated by fans that once Captain America dies, the Winter Soldier will step up and be the new Captain America. The next person speculated to pass on is Ironman (18.0%). This answer is also very probable since the ten year contract tying Robert Downey Jr. to Disney and Marvel will be up after the release of Avengers 4. Black Widow (16.0%) is speculated to go perhaps because she is seen as an expendable character. The “Other” option (15.0%), is next most likely because fans aren’t sure if a new character is willing to sacrifice their life or not. All of the above (13.0%) is second to last, which may be due to what people think Marvel will do to make profits, (kill all of the characters so the merchandise for the characters will be in high demand and will sell out). Finally, Thor (12.0%), is last reasonably due to the fact that he is a god and can’t easily be killed. Although no one truly knows where the fate of the next movie lies one thing is certain: people are eagerly waiting. Recently, the trailer for Captain Marvel was released. The next step for the MCU is to release the trailer for Avengers 4 and with that release we will finally know the title of the next film. Despite the fact that people are happy for a trailer release for any upcoming Marvel film, most were not impressed by the Captain Marvel trailer, I myself included. However I think it will be wise to be more hopeful that the Avengers 4 trailer will exceed our expectations. Even if it doesn’t it should go without saying that die-hard fans will still go see the movie regardless of how trailers look.